What is the best washday routine for natural hair? This is one of the most common questions asked by naturalistas everywhere. It also does not help that we are constantly being bombarded by YouTube videos sharing with thousands of videos, telling us about different washdays routines. After a while, it starts to become extremely confusing, but we are here to unpack it for you. Washdays are often viewed as tedious and time consuming, but they are an essentials part of growing strong, healthy hair. By nature, natural hair has a high porosity. The high porosity can be either a genetic property or the result of damage caused by chemical processing, heat application and environmental factors. High porosity hair tends to absorb too much moisture, which typically results in tangling and frizz. High porosity hair also tends to loose moisture easily, resulting in dryness. Prepoo (which is a acronym for pre-shampooing) is an important first step of your washday routine. Apply a moisturising oil to your hair before cleansing. Prepoo is a treatment that adds moisture to your hair and prevents dryness while cleansing your hair. The Eco Essentials Hair Growth Oil makes the perfect prepoo oil. 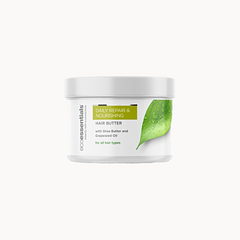 Its formulated with a special blend of moisturising oils and butters like coconut oil and shea butter. 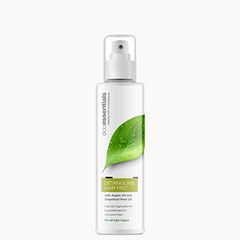 Shampoo your hair with a clarifying sulphate-free shampoo like the Eco Essentials Cleansing & Nourishing Shampoo that will not strip your hair of moisture. When shampooing your hair, work in sections and take extra care into massaging your scalp to remove product build-up. After thoroughly rinsing out the shampoo, follow up with a moisturising conditioner like the Eco Essentials Repair & Nourishing Conditioner. Focus on applying the conditioner on your hair and then use a wide tooth comb to detangle your hair. Rinse out the conditioner. Divide your hair into 4 sections and then apply a generous amount of deep conditioner (like the Eco Essentials Deep Treatment Hair Mask) to your hair. Cover your hair with a shower cap or plastic and allow the deep conditioner to sit in your hair for about 30 minutes. Thoroughly rinse out and then proceed to drying your hair.